Note: This switch has no effect on the NIC if it is installed in an 8-bit slot. 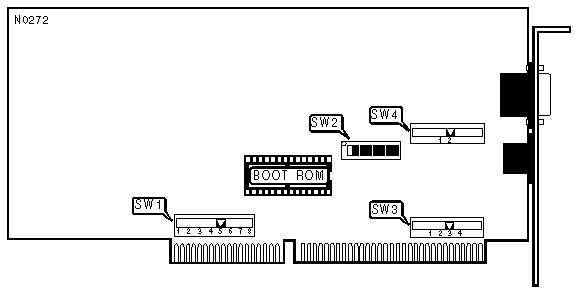 Note: If an 8-bit transfer mode is required and the NIC is installed in a 16-bit slot, use forced 8-bit mode. If the NIC is to be used in a Novell Netware 386 file server, automatic select must be used. Note: Alternate ISA bus timing is used if the host computer is not 100% ISA bus compatible (such as the IBM PS/2 model 30-286) or if the Madge Ringnode diagnostics program fails to locate the NIC. Note: Synchronous bus is used for systems that have a clock speed less than 10MHz.